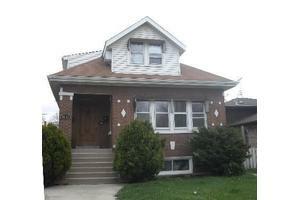 Is A Non-Coforming 2Flat W/New Garage and Finished Basement. Recently Remodeled From Top To Bottom. Heat and Electric Are Separate. Hardwood Floors Throughout. Formal Dining Rm Main Floor. Immaculate Condition. Basement Has Summer Kitchen, Bathroom and More Living Space. Showings M-F 6-8Pm No Showings On Weekends.